Who is the real Ronaldo?! Ten years ago it was only Ronaldo Luis Nazario. 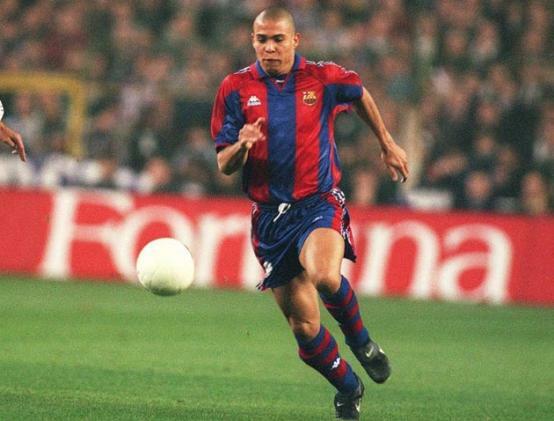 ‘Il Fenomeno’, one of the greatest attackers of all time. Maybe the greatest! 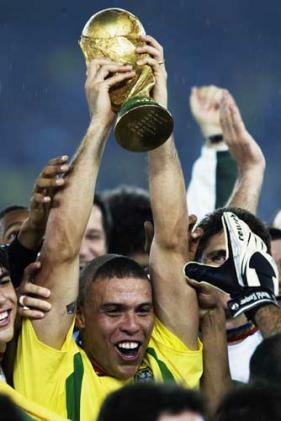 He won two World Cups, even though in 1994 was only an unused substitute, two Copa America and one Confederations Cup. In fact, he didn’t miss any important trophy at international level. Still, the biggest regret of his career remains the failure of raising above his head the UEFA Champions’ League. He did play for Barcelona, Inter, Real Madrid and Milan, but the highest reach in the most important European competition remains the semifinal against Juventus, in 2003, when he was playing at Madrid. A Cup of Cups with Barcelona in 1997 and a UEFA Cup one year later alongside Inter, became his European CV. Having serious problems with his weight, Ronaldo remained one of the fastest strikers in the World even though the kilograms gathered more and more on his body. Also, his knee problems never discouraged him to continue stronger (he had severe problems at his left knee in three occasions: 1999, 2000 and 2008, but always recovered and returned!). 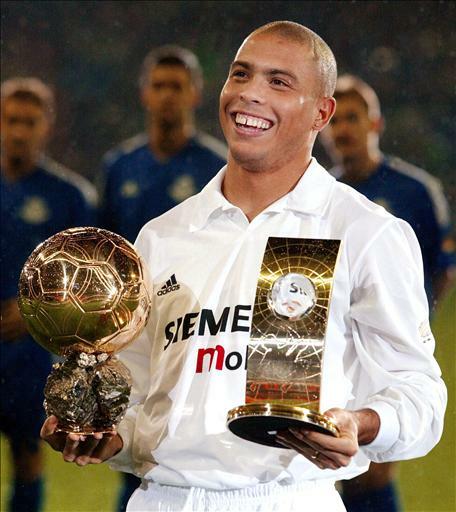 Ronaldo also win two Golden Balls (1997, 2002) and remains the top scorer from the history of FIFA World Cup, with 15 achievements, the last three netted in 2006. A career full of trophies and success, but shaded by injures and health problems that without Ronaldo surely might had a chance to reach even higher peaks in World football. Still, behind him remain 490 goals scored in 714 matches, in all competitions, from which 62 for Brazil football team. 62 goals in 98 official games! His extraordinary ball tricks will keep him forever in the memory of World Wide football lovers. Most of them swore that no other Ronaldo will ever reach the same popularity. But Cristiano Ronaldo appeared. At first point looked like a very talented Portuguese youngster, spotted by Sir Alex Ferguson and took to make history at Manchester United. And so he did, by winning several trophies including a UEFA Champions League in 2008, in a final against Chelsea in which he even scored! At some point he decided to write only ‘Ronaldo’ on his back. It was a direct assault to a monument. 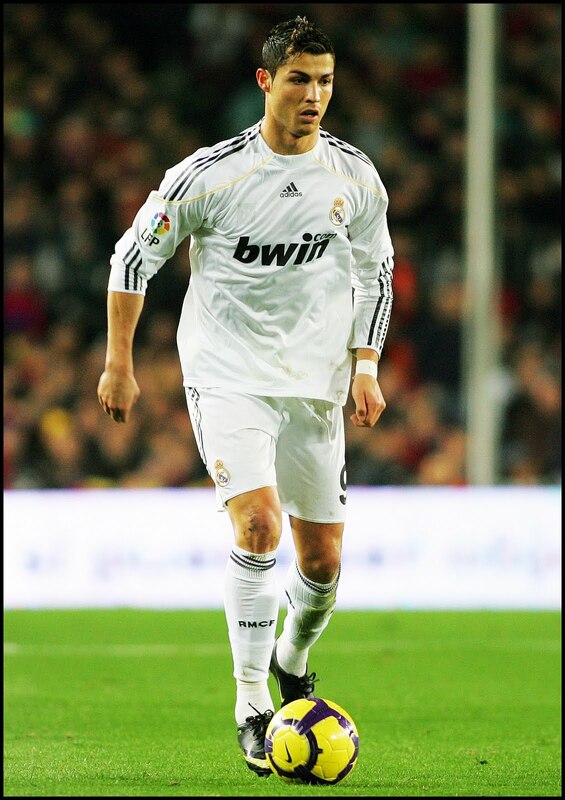 Can you be so crazy to hope that you can be as good as Ronaldo Luis Nazario de Lima or even better?! No, no, no, was the unanimously opinion, but Cristiano didn’t care. For him, his entire name, on the back of his short looked too long and a ‘C’ initial before ‘Ronaldo’ was useless. Initially it looked crazy but few people from now days associate the name of ‘Ronaldo’ with that of the Brazilian striker, even though his exit from football, consumed less than two years ago. Most football lovers identify now the star of Real Madrid. Yes, he got a transfer after six successful years at United and became the most expensive footballer ever, because the Spanish club paid for him more than 90 million Euros! His reward came quickly and after only three seasons and a few matches from the fourth, the Portuguese reached 162 goals scored in 157 matches! In all competition! To be realistic, it’s very hard in our days for a player to score more than one goal per game in such a big interval. Cristiano did it! A thing that the Brazilian couldn’t achieve…. So, CR7 won the Champions’ League, became a goal scoring machine and challenges Eusebio and Figo for the title of the best football player from the history of Portugal. The only important achievement that isn’t right now in his CV, is an important international tournament, despite him participating at five final tournaments alongside his country (2004, 2006, 2008, 2010 and 2012). Most close he was in 2004, when Portugal reached the final. Considering this, if he will win a World Cup or a European Championship together with Portugal will surely overpass all Portuguese footballers. And can powerfully challenge Ronaldo. 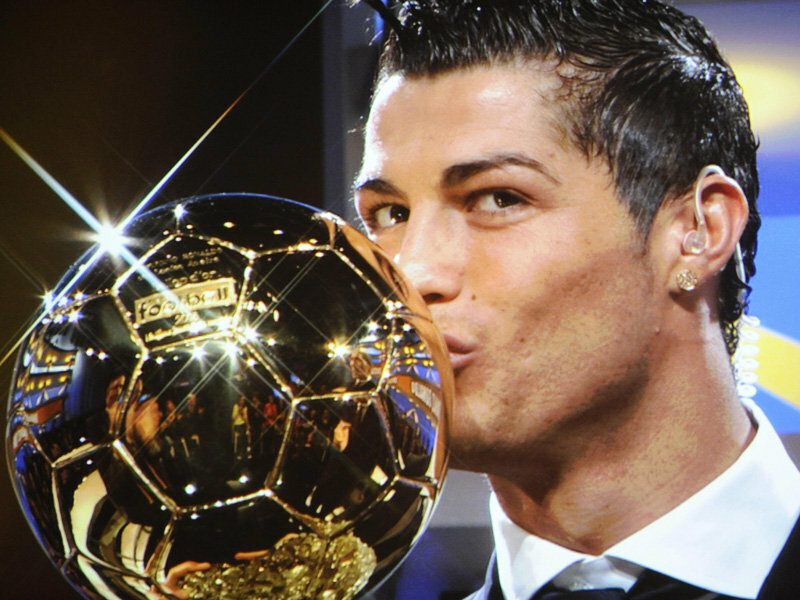 Having also won a Golden Ball in 2008, Cristiano has some massive fan support also because of his physical appearance. 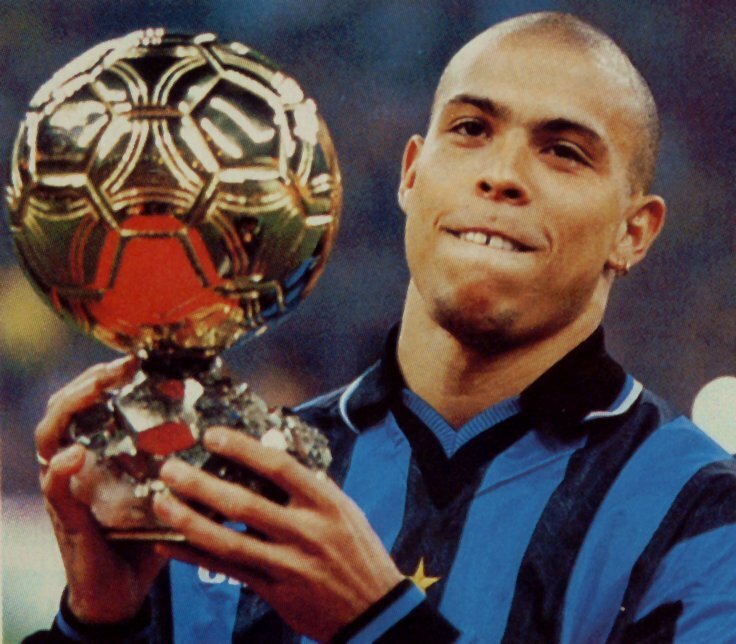 If Ronaldo Luis Nazario de Lima had constant weight problems, CR7 looks like the perfect athlete. Well built, he maintains his shape thanks to many daily hours spent in the gym. The Brazilian was very fast and skillful, maybe better than Cristiano at those chapters. But the Real Madrid attacker also has a great speed, unique tricks and, in addition, can shot as well with both feet and has an almost perfect header. He is also specialized in free kicks and with a leader spirit, things which weren’t strong points of the Selecao striker. Maybe CR7 has the advantage of no serious injury until now and this fact can be seen also by reaching 100 games for the national side at the age of 27. 100 matches in which he scored in 37 times. So, who’s the best? Can you pick or you prefer to wait until Cristiano Ronaldo will also end his career? Your decision, but I’m waiting some reactions here! Acest articol a fost publicat în Campioni și etichetat AC Milan, Barcelona, Brazil, Cristiano Ronaldo, Golden Ball, Inter Milan, Manchester United, Portugal, Real Madrid, Ronaldo Luis Nazario de Lima, World Cup. Pune un semn de carte cu legătura permanentă.